I’m going to need a cheat sheet again next season. I started using one last year after the friendly against Hull in August when I realised I didn’t know most of the Birmingham City players. I am not an expert on football but I do like to know the names of the players in my team. So I compiled a list of names and squad numbers and kept updating it as players kept coming and going. I’m going to have to start a new list next season because a lot of players have left and new ones are being brought in. In one article* Colin Tattum listed eighteen players who have left, including nine players whose contracts were not renewed, eight loan players who went back to their clubs and David Murphy who retired. And it has been reported that Zigic and Burke won’t be signing new contracts either. So Lee Clark will have to assemble a new squad. He has brought in six players so far, five free transfers and a season-long loan, and James Fry has also signed a new contract (list at end). I will leave it to other, more knowledgeable bloggers to comment on the merits of these players and the balance of the team. I just hope that they will settle quickly, play well and have some distinctive features that will help me to recognise them. My eyesight is not what it used to be and I can’t read the squad numbers on players shorts if they on the other side of the pitch. So I like players to have unusual hair styles or beards (hope David Edgar keeps his) or wear different coloured boots or be extremely tall. But whatever they look like I’m looking forward to welcoming some new faces though I hate saying goodbye to those that are leaving. 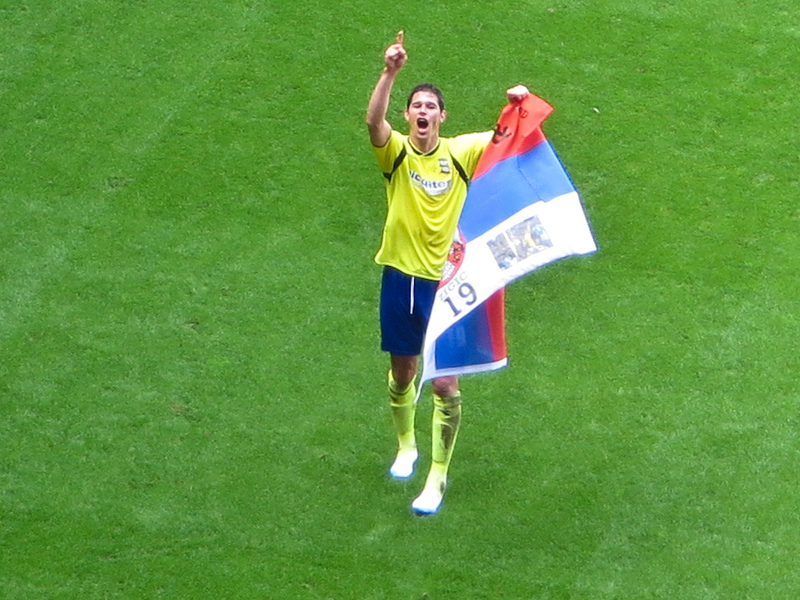 Jonathan Grounds came from Oldham Athletic and signed for two years. He is a left back and can also play at centre back. James Fry, the 19 year-old captain of the U21 team, signed a new one-year contract, with a one-year option. He can play at full back or centre half. Grant Hall signed on a season-long loan from Spurs with no recall option (hallelujah!) He is a centre half. Stephen Gleeson came from MK Dons and signed for two years. He is a midfielder. Wes Thomas, a striker who had a previous on loan spell at St Andrew’s, has signed a two-year deal with Birmingham after rejecting a new deal with Rotherham. David Edgar was let go by Burnley; he is a utility player who can play in defence or midfield and has signed for two years. Gavin Gunning came from Dundee and has signed a pre-contract agreement for one year with an option for another year. He is a left-footed centre half.